Tropic Pine Slub Canvas. 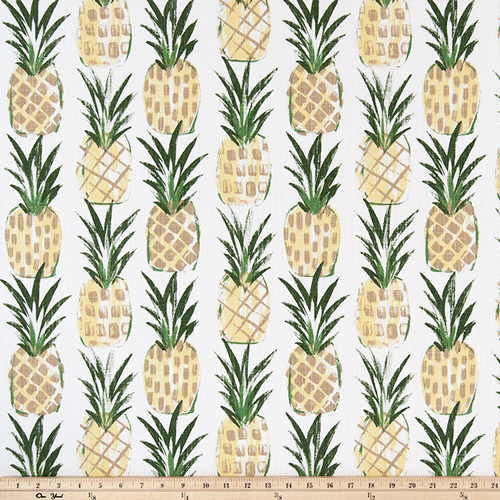 Fun, bright pineapple print. Medium\heavy weight fabric suitable for drapery, decorative pillow covers, headboards, handbags or light upholstery.